Yoga is the most ancient and most popular physical and mental exercise that is originated in India which is practiced in India but also in almost every part of the world and is mostly taught by Indian yoga gurus. There are enlightened people who teaches Yoga are known as the Yoga gurus who are having total control over themselves. There are many such differences between the Yoga gurus and the spiritual leaders. The spiritual leader only deals with the religion and propagates the vision of the people with the religion. If we speak about the Yoga gurus relates the people by spreading the Yogic knowledge among the common people. There are few Yoga gurus in India who are even regarded as the spiritual leader. The Yoga guru plays a vital role in the lifestyle and also improves the quality of living. People are now seeking for the Yoga gurus to attain the fame and recognition in their life by teaching yoga. Swami Ramdev is also called as Baba Ramdev who is known to give popularity to Yoga and also offers the Ayurvedic treatment. He has also established the Divya Yog Mandir Trust (a famous yoga ashram in India) for popularizing Yoga. The camps of Baba Ramdev is attended by heavy number of people. It would also not be wrong to say that he is one of the most famous yoga gurus of the country. There are more than 85 million who follows the yoga camps by Baba Ramdev through TV channels and video. His camps and teaching are absolutely free for the masses. Baba Ramdev has started his principle in life to help the all other people. In 1995, Swami Ramdev has established the Divya Yog Mandir Trust by joining the hands with Acharya Karamveer and Archarya Balkrishna. Archarya Karamveer is well educated in Yoga and Veda while Acharya Balkrishna was a great physician with the degree in Ayrvedic. Yogi Amrit Desai was internationally acclaimed and was one of the best yoga teachers, seminar leader and the author of the field. He has been acclaimed as one of the best yoga instructors to the world and also earned honor in US and also abroad. He has also earned the title of Doctor in Yoga, Jagadachaya (Universal Teacher) and Vishwa Yoga Ratna awarded by President of India. Mata Nirmala Devi has introduced the new way of Yoga that is Sahaj Yoga. She was born in the year 1923 in a Christian family at Chindawada, India. She had a complete self realization at a very young age that she is unique gift of god. She was born with the complete understanding of the human nervous system and the energetic counterparts. Huge number of people has derived the knowledge of Sahaja Yoga in around 75 nations of the world. Mata Nirmala Devi has spoken so much about Sahaja or Siddha Yoga in television and radio channels and was also a subject of the hundred of newspaper article in all over the world. She has also been awarded as the 'Personality of the Year' in the year 1986 by the Italian Government. Bikram Chaudhary is the founder of the Bikram Yoga. He has patented his own Yoga style by his own name 'Bikram Yoga'. His institute are located from New York to Paris, from Los Angeles to Missoula and Montana. He has made yoga as the million dollar business which can exchanged everyday. Bikram Chaudhary was born in the year 1946 and began to do Hatha or Kriya Yoga at the age of four. 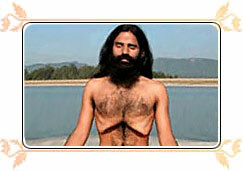 He won the National Indian Yoga Championship for four consecutive years. He is one of the top yoga teachers or should we say top yoga instructors of today's time.